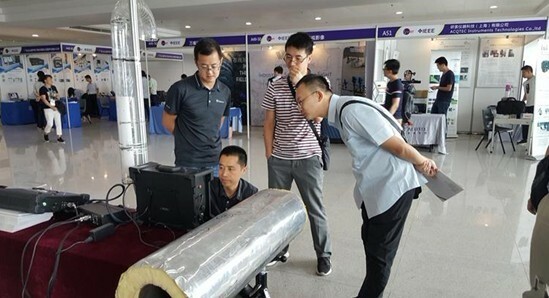 Zhengzhou Runde Dellonscope Co.,Ltd.participated in this Forum and exhibited various non-destructive testing products. More technical exchanges with experts and scholars in the non destructive testing industry have aroused great interest and strong repercussions from domestic and foreign experts and scholars, and have won unanimous praise and shine in the meeting! Dellonscope attending the 2018 Far East NDT New Technology,Application Forum. The 2018 Far East NDT New Technology,Application Forum was held from July 6th to 8th in Xiamen International Seaside Hotel of China. The Far East NDT New Technology Forum is a large-scale professional technology forum based on China and radiating overseas industrial non destructive testing.The forum aims to strengthen the international cooperation and exchange of non destructive testing technologies and promote the research and application development of non destructive testing in China.The slogan is One holds the advanced science and technology,one will have the advantage and initiative in future competition and development. Zhengzhou Runde Dellonscope Co.,Ltd.Participated in this Forum and exhibited various non-destructive testing products.More technical exchanges with experts and scholars in the non destructive testing industry have aroused great interest and strong repercussions from domestic and foreign experts and scholars,and have won unanimous praise and shine in the meeting! We profession manufacture,Industrial Videoscope,Industrial Borescope,Industry Videoscope,Industry Borescope.